Best Subscription Boxes - Pretty, Polished, Perfect. It seems as though every day there is another new subscription box available, for babies, toddlers, wine enthusiasts, fashion enthusiasts, beauty mavens, dog-lovers, you name it! It’s hard to say which are the best. I stay away from the beauty specific subscriptions – I am the worst at trying new product, but it would be a perfect fit for my friend Nicole – there isn’t anything she won’t try! I’m pretty picky about everything, so some of the fashion ones are….well, meh. Overall, I’ve never heard anyone say anything negative about subscription boxes, but if I had anything noteworthy to add, it’s this: some months are spot on and ridiculously good while other months, well, fail to meet my expectations. My advice for subscription boxes? The more the merrier (as long you have the budget), if you love receiving packages in the mail (who doesn’t love this? ), or hate leaving your home to shop – subscription boxes are for you! Are a shopper, a bargain hunter, and love to have unique items (it’s amusing to see the most un-wanted items on Poshmark, it really is, ahem Lulu Frost x Popsugar bracelet!) then I’m sad to report that these subscription packages are not for you. I’d love to hear what boxes you guys subscribe to, wish you could subscribe to, and of course, the juicy and torrid details of your worst boxes ever – so leave me a comment below. 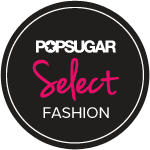 Popsugar Must Have Box is celebrating their 5th anniversary with weekly giveaways, so now’s the time to sign up if you haven’t already! Already a subscriber? You’re eligible to win as well! You can subscribe here: http://bit.ly/PMHAugust and use code PARTY to get $10 off your first box. Week 5 (8/31): 5 Grand Prize! Limited # of subscribers something from Cambridge Satchel Co + 1 year Must Have Box subscription.